Choosing Encoder Options for Robot Kits Tactical Robot Demonstrations Coming To The Florida Panhandle! 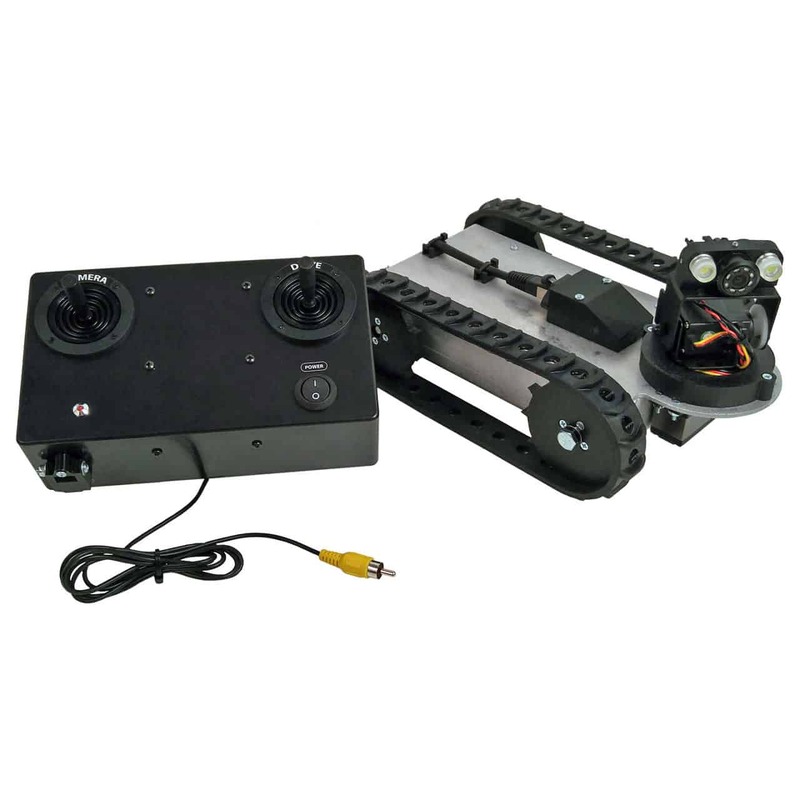 The SGT-32P Wireless Inspection Robot is a complete inspection robot package that comes standard with a GoPro Hero5 camera system. Record 4K HD quality video using the GoPro app and your smartphone or tablet (not included). Watch the Featured Video below for a demonstration. 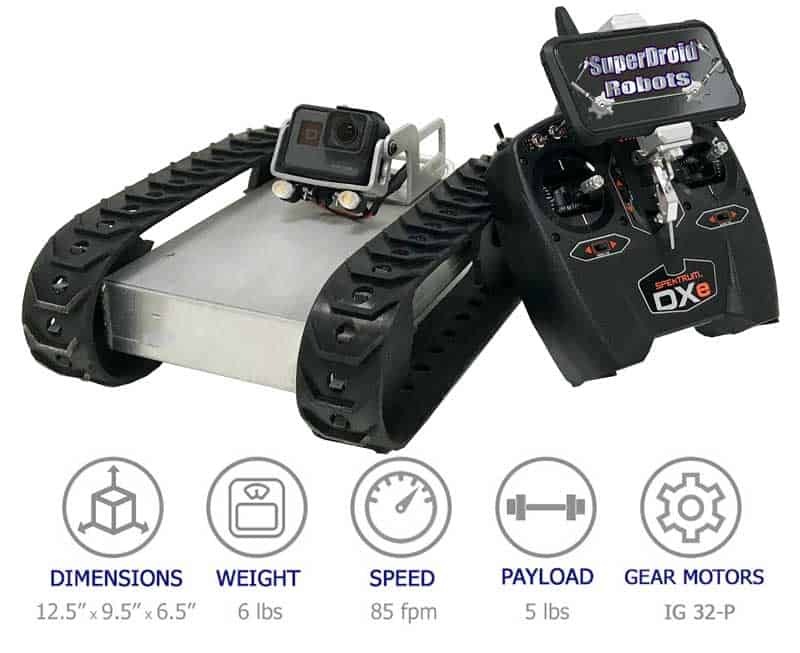 The low-profile design allows the robot to gain entry into hard to reach places. High power LED lights mounted on the camera tilt bracket illuminates dark areas and provides ample visibility to record HD quality video on the GoPro. 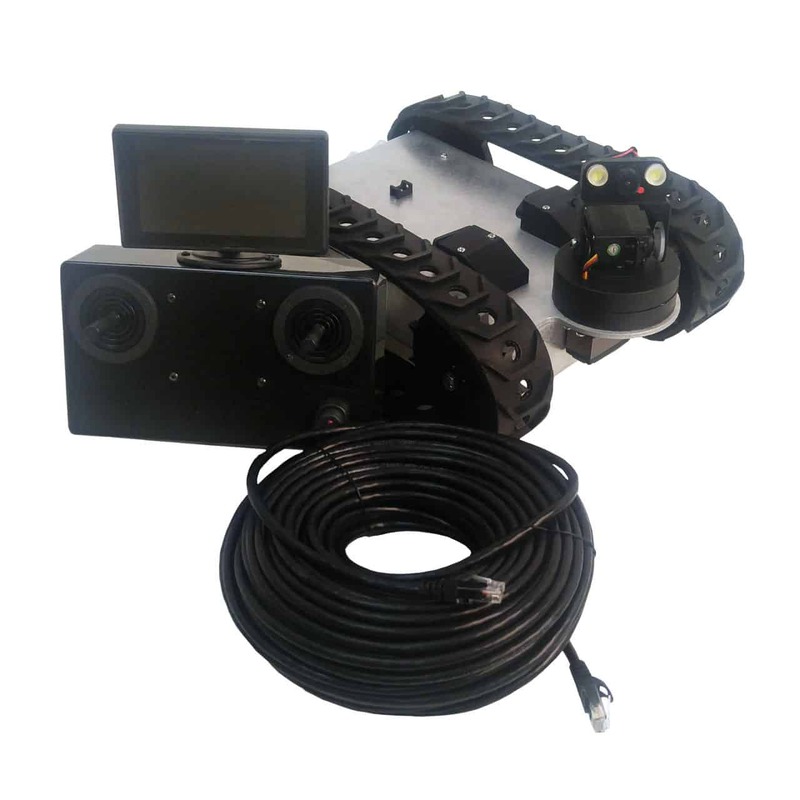 The robot is controlled with a Spektrum remote with an attached smart phone holder. Record 4K HD quality video directly onto the provided SD card. Video is transmitted wirelessly using the GoPro app. Video transmission is 100 feet in open space so limit obstructions to keep the wireless transmission to a minimum. 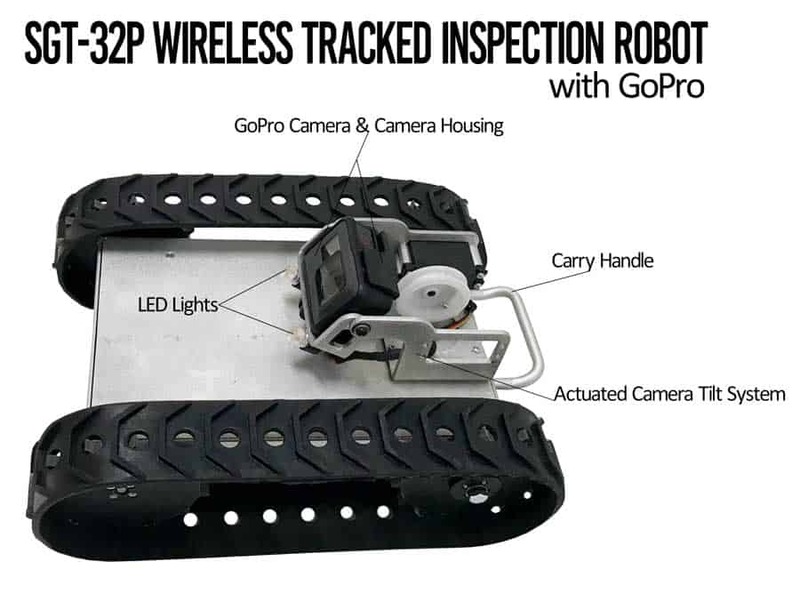 Find out how SuperDroid Robots Wireless Inspection Robot helped one homeowner save $85,000 here.